On Saturday, May 11th, 2019 nonprofits, local businesses, school groups, churches, volunteers and over 2,000 walkers will come together for an exciting morning honoring our community's fundraising achievements. By fundraising for the cause of your choice or registering as a race day participant, you can be part of the celebration while enjoying a breakfast, lunch, a free t-shirt, live music, family friendly activities and a beautiful ocean walk and fun run along West Cliff Drive. The 5 mile course takes participants on a fun route through one of Santa Cruz's most iconic paths. 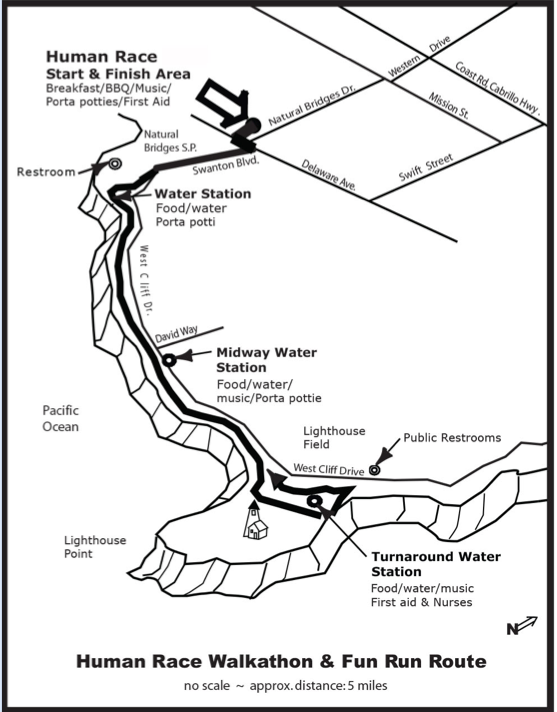 The beautiful walk starts at 2300 Delaware Ave, and continues along West Cliff Drive to the Light House Park, ending back at 2300 Delaware where a BBQ lunch awaits you. The race takes place rain or shine. Click here to view the 5 mile course map (downloadable PDF). Follow the signs to designated parking along Delaware Avenue and Natural Bridges Drive. Please try to carpool. Let's put on our giving shoes and step up for all that is good in our community. Together we can be a flashpoint for hope. Everyday, our non-profits, schools, and community groups do the dedicated work to transform and support our neighborhoods. Standing together we make a beautiful community statement-We are the change-makers. Bring your signs, flags, and banners and let's proudly walk for change. For your convenience, a courtesy shuttle service will continuously loop the route, stopping at each water station. It will return tired walkers to the finish line and all the activities at 2300 Delaware Ave. Enjoy a continental breakfast prior to the race starting at 8:00 AM, refreshments along the route, and fill up on an early lunch starting at 10:30 AM. Take a break at one of the rest stations along the beautiful West Cliff Drive and there will be music, a costume contest, games, and street performers or join us at the finish line for all ages fun at the post race party and BBQ. The Human Race is a nationwide community fundraising event for nonprofit organizations and is the largest collaborative fundraising event in Santa Cruz County as well as the longest consecutive running Human Race in the nation. 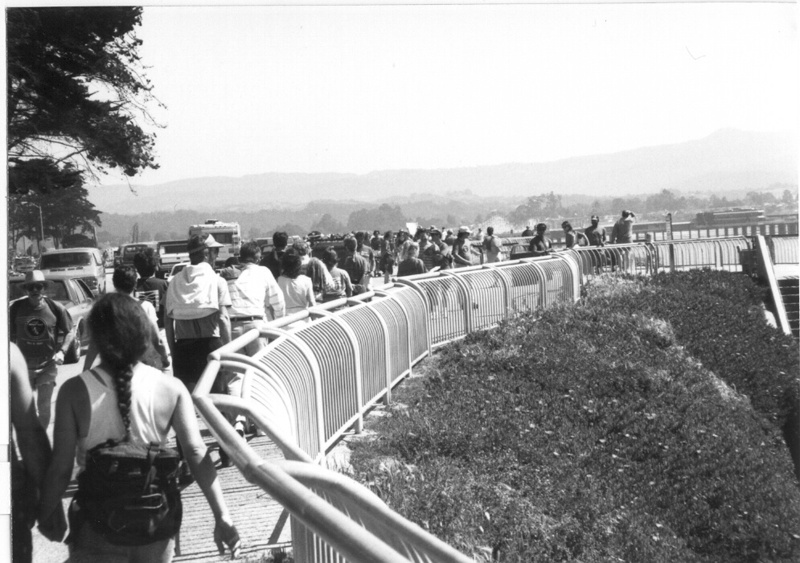 2019 marks the 39th year of the Santa Cruz County Human Race. Each year the Volunteer Center provides marketing, publicity, materials, free training, and fundraising expertise from the top experts in the field. While our local nonprofits and businesses provide the people power. In the last five years over 1 million dollars has been raised in support of the causes our community cares about and last year more than 1,500 participants, and nearly 10,000 donors raised $300,00 in support of 121 participating nonprofits, schools and community groups. This event is annually made possible through the generous support of our sponsors.